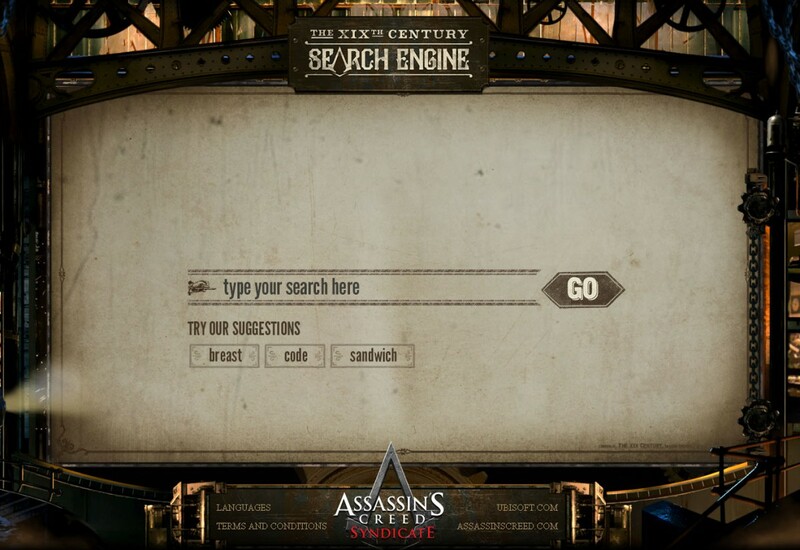 Check out the 19th Century search engine - courtesy of Assassin's Creed Syndicate - Use a Potion! Every so often developers release something a little special to help promote their game. Well, Ubisoft have created something extra special here; the 19th Century version of Google. It may sound a little ridiculous but it’s a good bit of fun, Ubisoft describing it as “a rich historical research tool designed to look just like the search engines our great-great-great-grandparents used in 1868.” I suppose that’s a pretty accurate description! Go ahead; you may learn something new today! Assassin’s Creed Syndicate is coming to Playstation 4, Xbox One on October 23rd and Windows in November. Check out more on the official website.